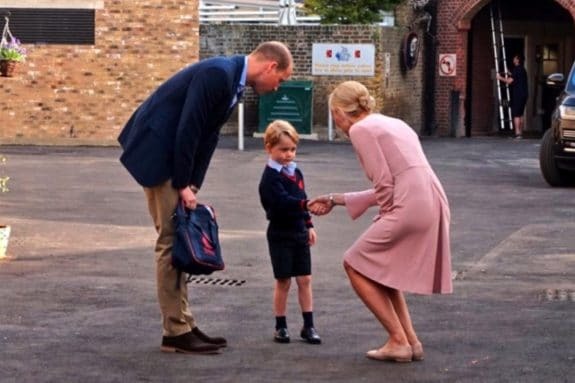 Prince George of Cambridge Attends School in London! Home » Prince George of Cambridge Attends School in London! Prince George of Cambridge was photographed arriving for his first day of school with his father Prince William, Duke of Cambridge on September 7, 2017. The pair were all business as they are met the Head of the lower school Helen Haslem at Thomas’s Battersea in London, England. 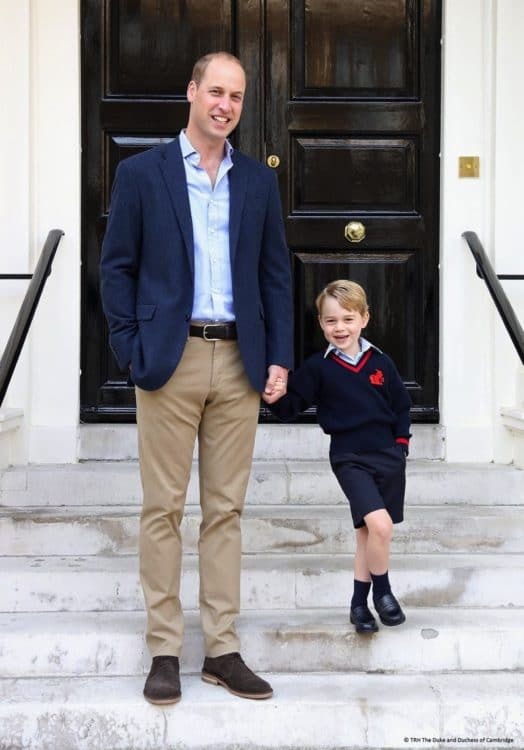 Early in the day Kensington Palace shared a photo of William and his little man before they headed off to the academy. George’s mom, the Duchess of Cambridge, was not in attendance for the big day as she is expecting the family’s third child and is suffering from hyperemesis gravidarum, a severe form of pregnancy illness. While visiting a mental health project for Grenfell Tower survivors, William told guests the new baby was “very good news”. “We just need Catherine to get over this first bit, then we can start celebrating next week. On Sunday William and Kate announced they are expecting their third child. The new baby will join Prince George and his younger sister Charlotte, 2.